Winter makeup means less shine and gorgeous and rich matt makeup. 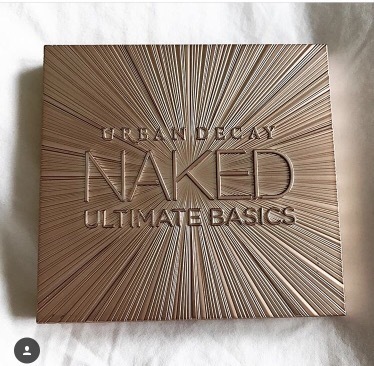 I never go for this look but thought I would try out the Urban Decay Naked Ultimate Basics Eyeshadow Palette as everyone seems to be raving about it. I love wearing eyeshadow, especially since I have ditched my black eyeliner for a softer, more natural look for every day use. I wear brown eyeliner now, and more recently, an amazing glittery purple from Chanel. My eyeshadow is normally a ‘subtle’ glittery bronze… seriously, it is subtle… and it fades throughout the day leaving a faint glimmer which is caught only in the light. As a creature of habit, the thought of a glitterless face scares me. The Naked Ultimate Basics features Urban Decay’s famous proprietary Pigment Infusion System™, which gives the formula a velvety texture, rich colour, serious staying power and blendability. There are 12 neutral matt colours that have been requested by their loyal customers. The colours are new and exclusive to the palette so completely different to Naked Basics and Naked2 Basics. This neutral eyeshadow palette features a true range of neutral mattes, from cool to warm – all with a little Naked edge – and each shade is neutral enough for any skin tone. As you can see, the rose gold packaging is amazing. The design is super luxurious, yet it’s light and compact. The huge mirror let’s you apply your eyeshadow with precision, and it also comes with a fantastic brush so that you can easily blend, smudge, and apply your eyeshadow to places such as sockets and the lash line. I have been using my palette for a couple of weeks now and I am absolutely obsessed. The colours are so gorgeous, soft and highly pigmented. They blend together perfectly and compliment all of the other shades on the palette. 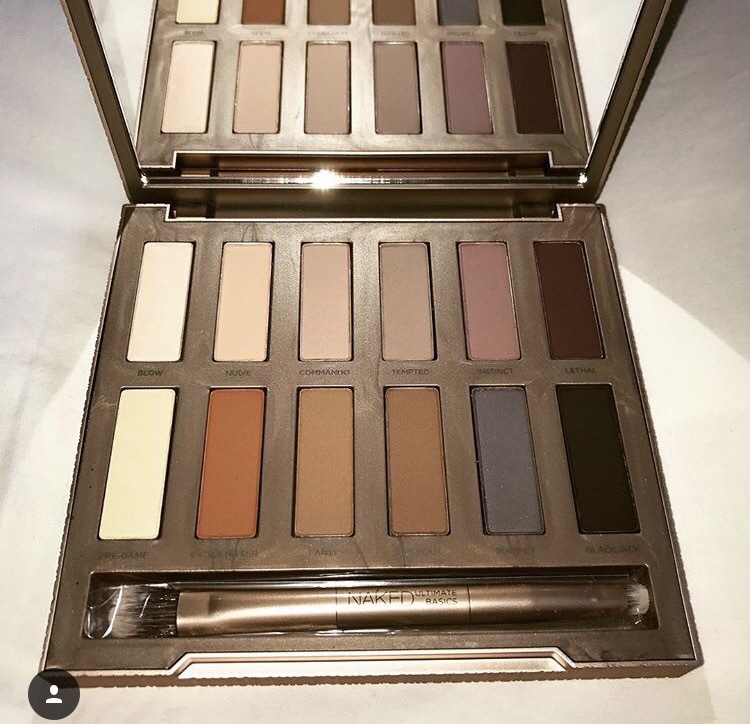 To obtain the no makeup look, this palette nails it, but the colours are deceiving, the neutral brown shades come on darker than expected so go easy. Even the nudes show up on this skin so also pay attention to your base and go for the palest. If you wanted an evening smokey eye, the colours Instinct, Lockout, and Tempted blended with highlighters Nudie will do just that. The finish is gentle, smokey and rich. I blend all my colours with Lethal which I wear along my lash line and Lockout on my sockets. I actually try a new colour every day and they never disappoint or get boring. My favs are Tempted, Instinct, Faith and Lockout, which are all on the image below. Earlier today, I tried Nudie blended with Tempted and Lethal on my lash line which I think is the perfect combo for an every day makeup look. Of course, shades depend on skin tone, but this selection of colours will suit most skin tones from pale to dark. Later on in eveing, I looked at my sweaty face in the gym and my eyes looked really defined and smokey. The colour hadn’t faded and even after a work out my eyeshadow stayed on. I highly recommend this palette to everyone. Its my favourite at the moment and it will definitely take me a while to get bored of it as the combinations are endless.